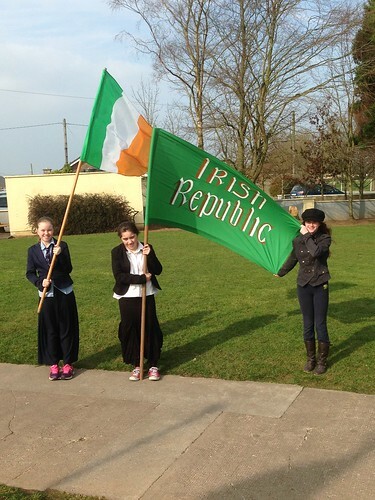 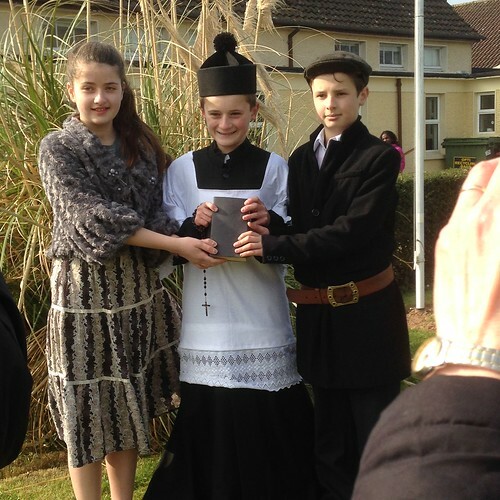 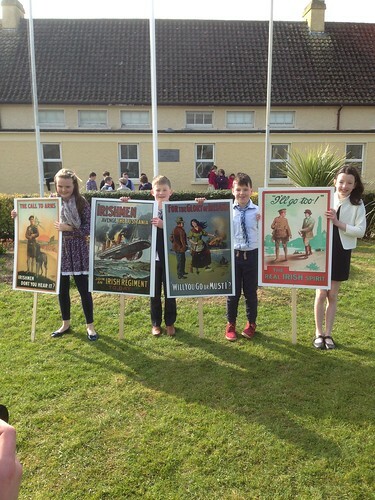 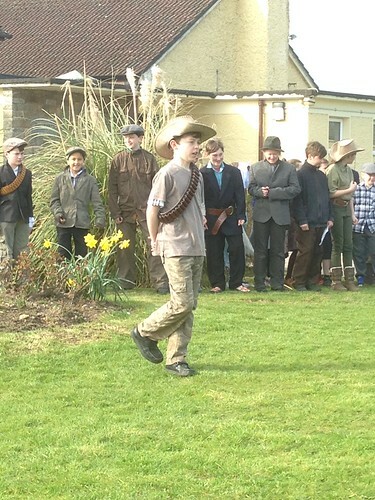 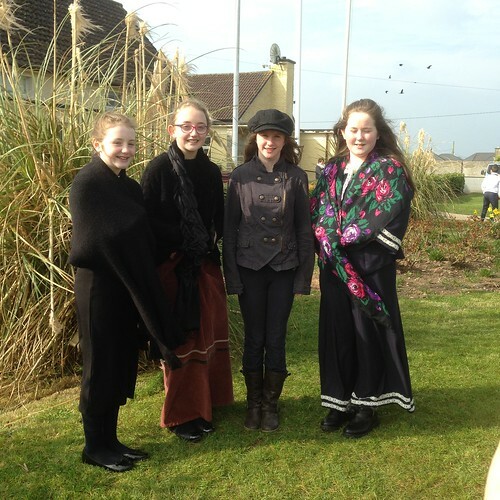 Proclamation Day was held on March 15th when we raised the Tricolour outside the school. 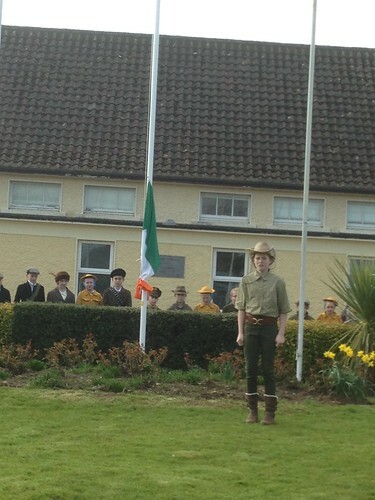 The youngest and eldest pupil in the school raised the flag together. 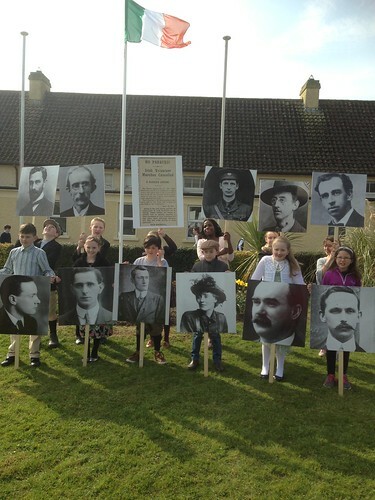 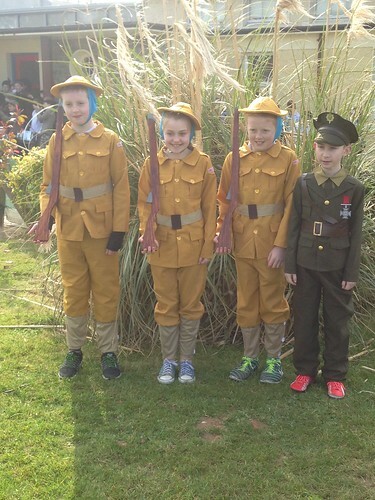 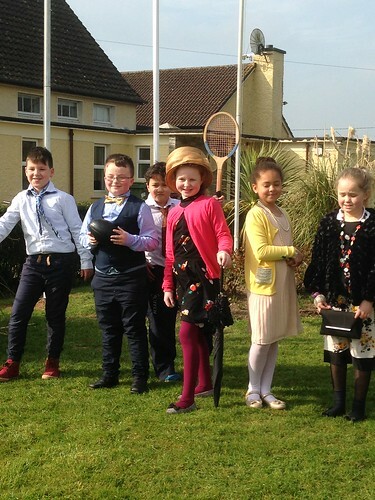 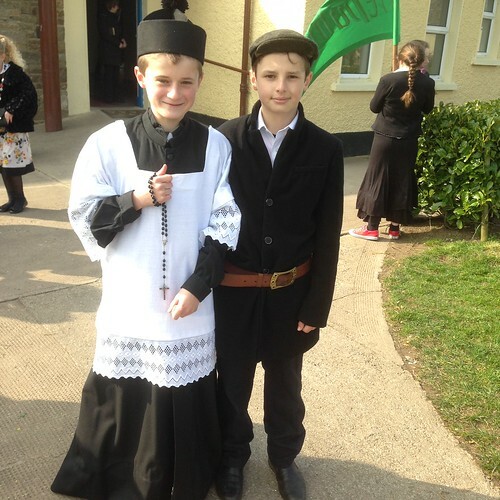 Children that had taken part in the "Triumph of All Sorts" pageant the previous week dressed up in their 1916 costumes and read the proclamation. 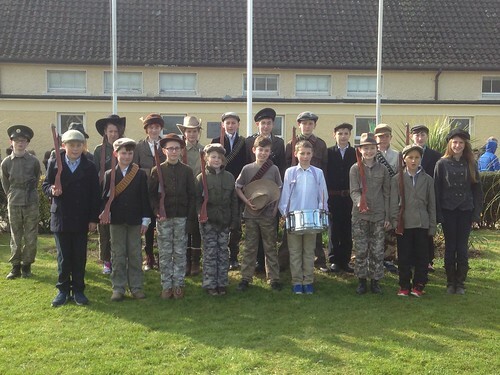 Children from 3rd to sixth played Amhrán na bhFiann and all pupils joined in the singing.